Today I’m thankful for the normal in my life. Many of our activities are geared around what is good for Aidan or what he can do. Then we make sure we balance that with fun times with Liam. It’s a little harder to engage everyone for a good time. Basketball is a favorite family activity. 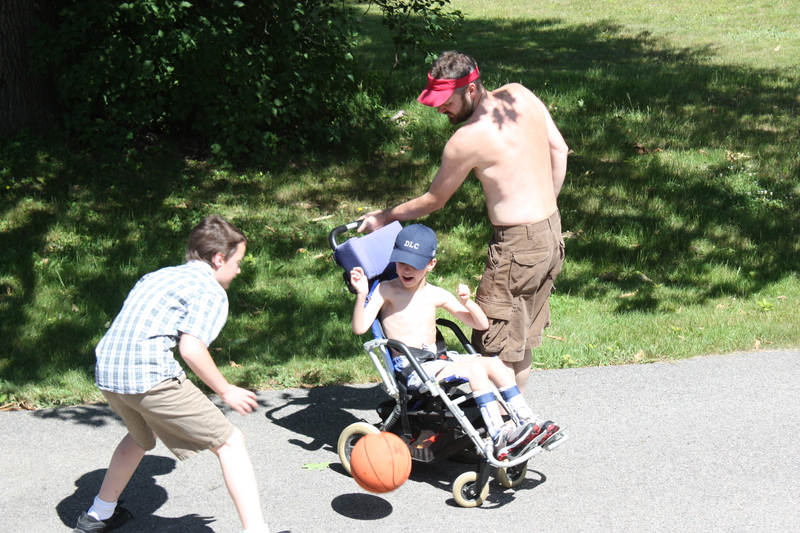 Liam is not afraid to take the ball from Aidan. Aidan loves to zoom around fast, and Garreth is actually not afraid to use Aidan to intimidate me. That’s just not right. Anyway, here we are, like any other family, all together having a blast. LOVE this, and I know exactly what you mean.